ADDIS ABABA (HAN) March 25. 2016. Public Diplomacy & Regional Security News. Ethiopia and Russia have agreed to bolster bilateral relations and cooperate in regional peace and stability. An Ethiopian delegation headed by Deputy Prime Minister Demeke Mekonnen is paying a working visit to the Russian Federation. 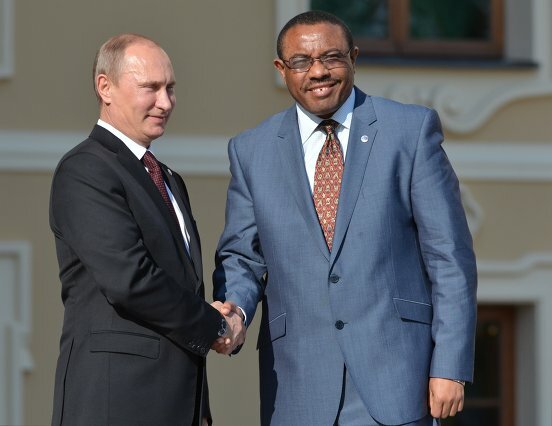 The deputy premier has delivered message sent from Prime Minister Hailemariam Dessalgen to the Russian President Vladimir Putin to Mikhail Bogdanov, Special Envoy for Middle East and African Affairs at the president’s office. Ethiopia’s delegation conferred with their Russian counterparts on Ethio-Russia bilateral relations, regional peace and security concerns of the two countries as well as cooperation in international forums. The delegation also held a discussion with Russian Minister of Education, President Putin’s science and technology advisor, and other Russian science and technology officials. 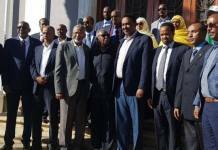 Deputy Prime Minister Demeke Mekonnen briefed Ethiopians and foreign citizens of Ethiopian origin residing in Moscow and suburbs about the implementation of the second GTP and government’s efforts to withstand the current drought and other current issues.